"Thank you for doing such an amazing job with my son! You guys are so wonderful!" "Dr. Baker took great care of him. My son has had a full recovery with minimal scarring." "I've been seeing him the last 6-8 Months. He is the best ENT Dr I've ever seen." "I love Dr. Terry Baker and the whole staff. They treat you like family!" Dr. Terry Baker MD offers the highest level of ear, nose and throat medical services in the Idaho Falls area. We treat patients of all ages, and we cover an extensive list of common and uncommon ear, nose and throat concerns that may need a closer look. When men, women, or children have ear, nose, and throat problems, they want a practice that has the experience and understanding to compassionately evaluate, diagnose, and treat your condition. At Terry Baker, MD, located in Idaho Falls, Idaho, the staff works together as a team to respond to each patient’s needs and educate them on their health issues. Patients of all ages are welcomed and supported at the office. Dr. Baker and his outstanding team take the time to get to know each patient. They help you find solutions and therapy that address issues including ear diseases and infections, sinus and allergies, asthma, and facial plastic and reconstructive surgery. 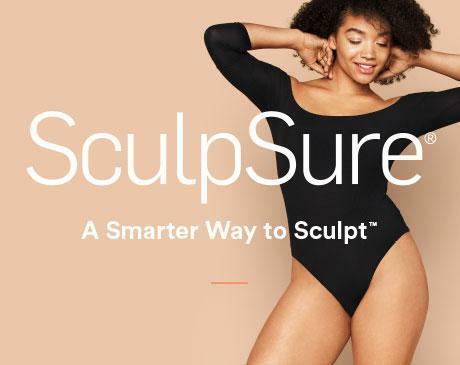 The office of Terry Baker, MD, is also proud to offer the revolutionary body contouring technology of SculpSure® to help reduce problem areas resistant to fat loss, such as your abdomen and thighs, and under the chin. Patients experience the expert staff, comfortable space, and convenient location of Terry Baker, MD, whenever they need expert otolaryngologist care. Call the office or book online for an appointment. SculpSure is a non-invasive laser treatment for the reduction of stubborn fat in areas like the abdomen and chin. From sore throats and earaches to sinusitis or hearing loss, Terry Baker, MD is equipped to handle all your otolaryngology needs. To help you understand your options, we've included descriptions of some of our leading services. Click on the links to learn more! Our #1 priority is to get you into your best physical health, so whether you want general information about any of our ear, nose or throat services, or need to schedule an appointment give us a call at (208) 552-9530. Please call the office for coverage related questions. Do you feel self-conscious about your double chin, but you’re not sure how to get rid of the extra fat? Nonsurgical SculpSure® laser treatments banish neck fat for good without pain or downtime. This could be the solution you’re searching for. "Wouldn't trust anyone but him in this city! Great to work with and willing to discuss all options, diagnoses, etc. with you." "Dr. Baker is great. My twins had their tonsils out on the same day. The whole process from office visit to surgery was great." "Always willing to work with you and if he doesn't know what is going on he will research it or send you to someone he trusts and knows about the problem."